Ancient Roman Clothing. Roman gods, Warrior. 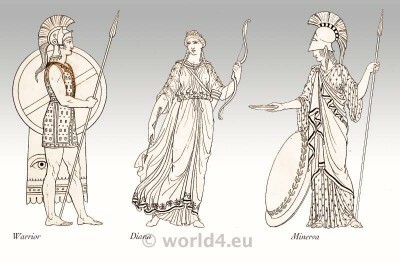 Early roman soldier, Diana and Minerva costumes. Classical antiquity, ancient dresses from Italy.